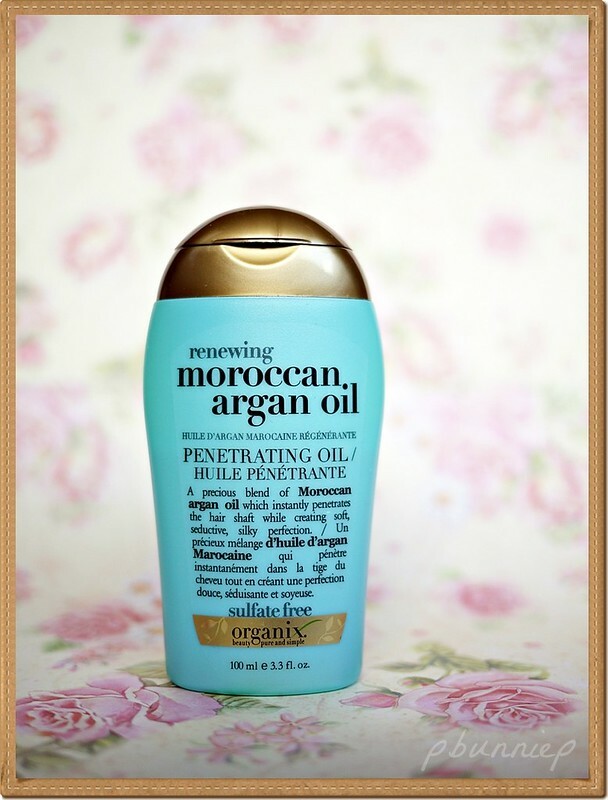 Argan oil has made a big name for itself in the past few years as an all around beautifying ingredient, with Josie Maran coming out with her argan line in Sephora to the ever famous Morrocan Oil haircare line raved by top hair stylists. In an attempt to find something more budget friendly, I happened upon this treat by Organix haircare. As a brand Organix offers a wide range of sulfate free and (often) organic haircare products, including a few body items as well. They are moderately priced for a drugstore line but at $3.99CAD on sale, I decided to make the jump. Having had a less than pleasant first experience with argan oil previously (from another brand) I approached this bottle cautiously. Yet to my surprise what came out of the bottle was as surprisingly lightweight liquid silicone gel which was extremely easy to apply without sticking my damp hair together. In fact the texture immediately reminded me of my favourite Biosilk Silk Treatment and like the Biosilk it made my textured hair easier to manage. The gel also had a very pleasant spa-like sweet smell which was fragrant upon application yet did not linger on my hair. If you take a closer look at the ingredients, it quickly becomes evident that the smoothness of the product comes from the high silicone content in the first few ingredients. This may or may not be a bad thing, while most people might come to expect less silicone in their organic based ingredients, I find that a little silicone actually works quite well with my hair. After all, even a high end product like Biosilk is heavily silicone based. So how does this add up to the big names you ask? 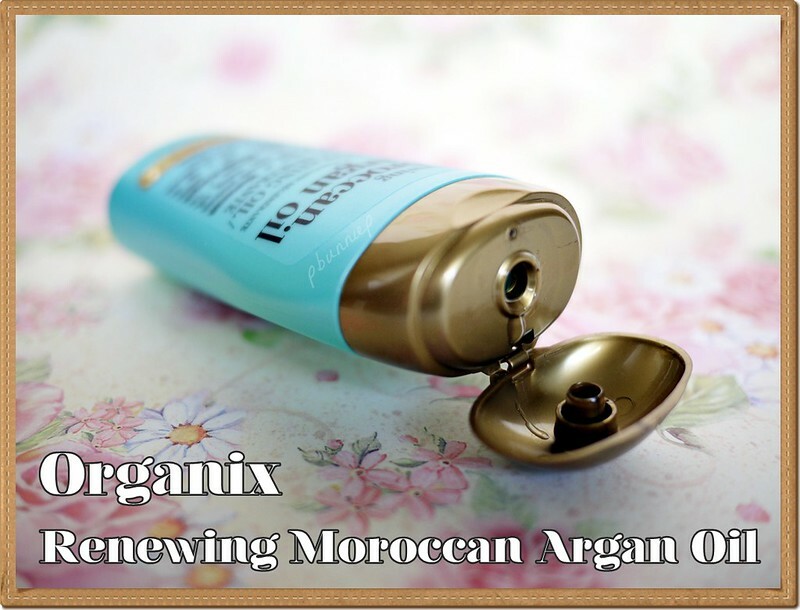 I would say that the Organix Renewing Moroccan Argan oil is most similar to my Biosilk in the way that it works mostly as a styling treatment with conditioning benefits. The effects however aren't long term and your hair will likely go back to it's previous state once you wash out the product. After more than a month of continuous usage, I will say there is a slight improvement in the overall softness of my hair but if you are looking for a miracle oil to cure split ends, colour tortured, heat damaged hair you may want to look elsewhere. For everyone else who is seeking an affordable, organic based styling treatment with instant results that is light weight enough to be layered with all your other products, give this little blue bottle a chance. 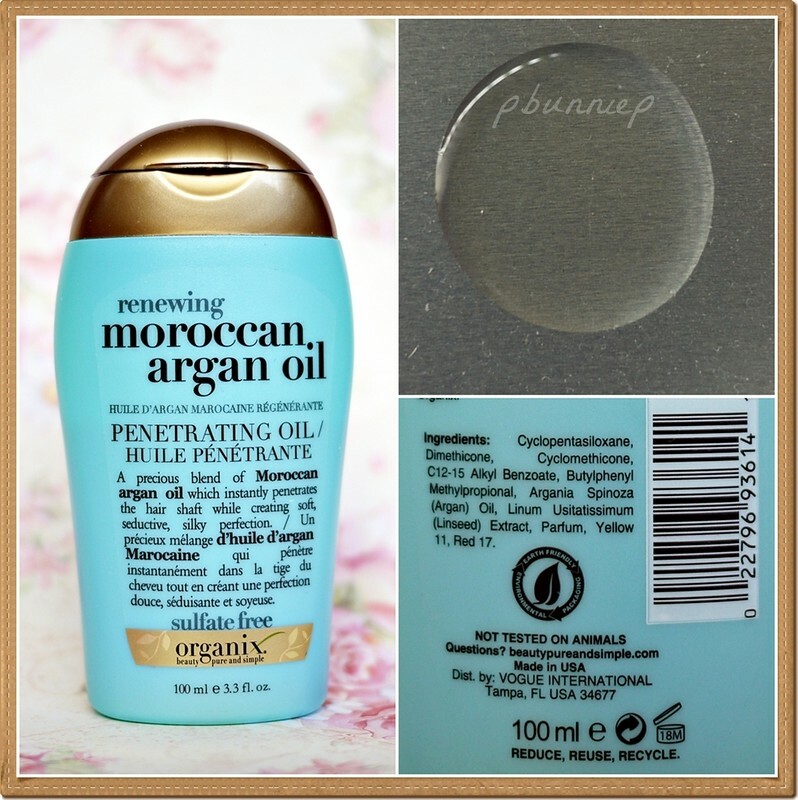 How I use it: Apply this to clean damp/towel-dried hair after coming, starting from mid shaft downwards and working a little extra through the tips. Air dry hair until it is 70% dry and blow dry smooth with a brush. It's light enough to use without making hair greasy faster. Tip: The TRESemme Thermal Heat Protector works wonderfully over this! Recommended for: Fine hair/wavy hair that needs a smooth finish without residue. Personally, I'd be happy to repurchase this as a styling product that I can use both for blow drying and air drying with no sticky residue, something that is very important for my fine hair. Overall a solid everyday haircare item that deserves a spot on your vanity. I am excited to try out more from their line, especially the shampoo and conditioner from their Macadamia Line as well, Brazilian Line and the Cherry Blossom Ginseng Line so I'll will be looking out for the next sale! Have you tried anything from Organix haircare?